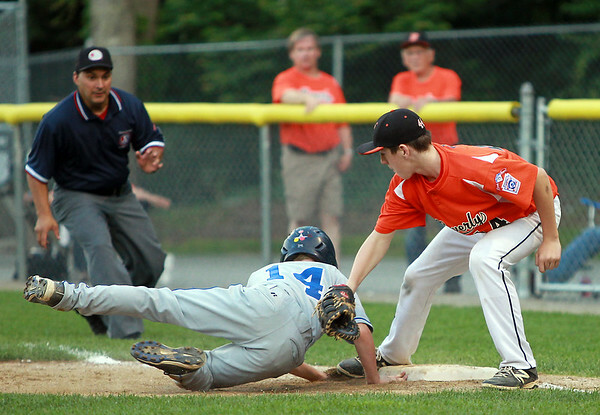 Beverly first baseman Robby Black swipes a tag on Danvers American pitcher Kevin Rooney as he slides safely back into first base on Tuesday evening at Harry Ball Field in Beverly. DAVID LE/Staff photo. 7/8/14.